IRCTC online Tatkal ticket booking service is said to be facilitating last-minute passenger reservations which opens at 10 AM for AC classes, and 11 AM for non-AC classes, one day in advance of the actual date of journey. first-come-first-served basis. 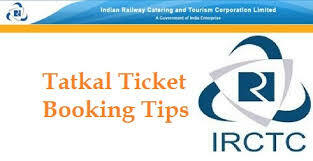 Here are some handy tips to help you get confirmed Tatkal tickets.